As a business in the increasingly crowded online marketplace, it’s hard not to look at Amazon and fail to see a behemoth competitor. Their long-term thinking has allowed them to dominate sectors including retail and cloud, streaming, TV and film production, and they’re even making moves on healthcare! That makes for a pretty powerful opponent to challenge when you’re a smaller business, but we’re here to tell you something that’ll cheer you up. Amazon is not your competitor, and you don’t have to beat them. You just need to get on board and start using them as one of your marketing channels. As a marketing channel, Amazon offers a lot of potential. This is showing as many big businesses and companies shift budgets to accommodate more Amazon marketing. Some brands are shifting up to 60% of Google search budgets to Amazon. It can really pay to stop viewing Amazon as an unassailable competitor and start making use of them as one of your most potent marketing channels. It doesn’t have to be all that complex either, there’s a few straightforward, actionable ways you as a business can start making Amazon marketing work for you. In the States, Amazon boasts around 50% of all online product searches. They don’t just dominate when it comes to the traffic either, although that is a big part of their success. When it comes to making those conversions and getting browsers to actually buy, Amazon are leading the way too. Boasting a conversion rate almost double that of the next leading competitor, possibly due to their transparent, trustworthy ratings and review system, free shipping or easy returns, Amazon have built an online marketplace that a lot of people are very comfortable using. With 90 million Amazon Prime members across the world, it’s not looking like any other online marketplace or store is set to catch up anytime soon, which is good news for any business looking to start developing their marketing approach. Amazon’s success hasn’t just hinged on their huge traffic numbers and free shipping either. They’ve led the way for the past few years when it comes to online marketing too. 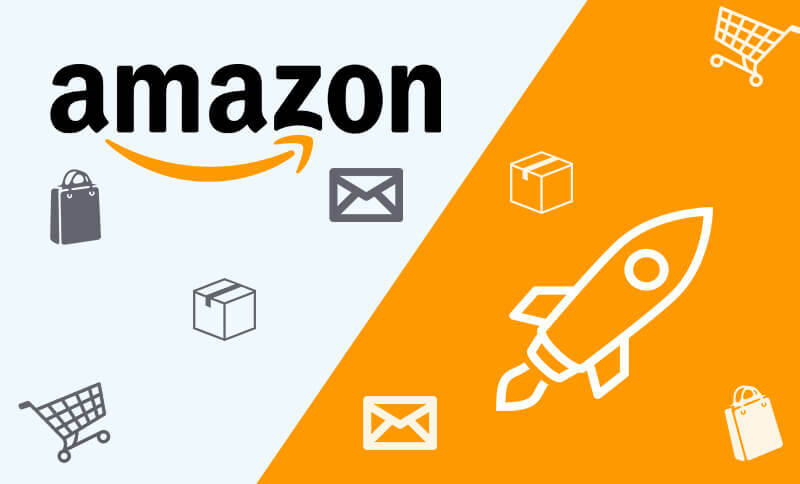 Email marketing has long been a key part of any online retailer’s arsenal, but Amazon have carefully refined it to the point where it’s one of the most important parts of their whole approach. With email, most companies still send out the much-maligned email blast. Amazon take a vastly more strategic approach, with nine different transactional and marketing emails each aimed directly at a different purpose, from upselling to review solicitation. Then you’ve got the approach to ratings and reviews. Amazon reviews are so popular that many online shoppers actually consult them before going shopping for the product elsewhere. This again harks back to the kind of ubiquity that Amazon have been trying to foster since day one. Their extensive reviews are not only utilized by their customers, but in general. That’s gone a long way to beat the mistrust of online shopping that was common fifteen years ago. Amazon’s voice recognition assistant, Alexa, also makes for an exceedingly powerful tool when it comes to marketing. Alexa allows Amazon to not only closely and effectively track and monitor purchases, but also select which exact products customers end up buying. On top of that, you’ve got dogged customer loyalty, reinforced by Amazon Prime membership. Basically, every business online wants to have a loyal following and solid customer loyalty, very few manage to get their customers to pay for the privilege. All that makes for an overall system that’s less an online retailer, and more of an online ecosystem. As Amazon encroach on more and more industries, utilising their proven and powerful marketing system is rapidly becoming crucial to succeeding online. It’s understandable then, considering Amazons increasing dominance and near-monopoly in some instances, why so many marketers are starting to focus more on Amazon. Amazon’s own marketing system is proving more popular than either Facebook or Google, with more businesses planning to increase their Amazon marketing budgets than that of Google, Facebook, Bing or Twitter. Amazon’s huge reach, with its vast and reliable numbers of traffic, makes for an attractive option for paid search products. 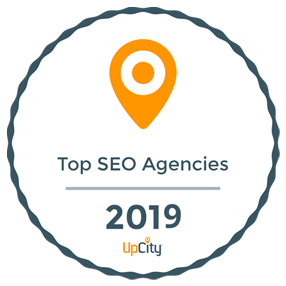 On top of the sheer traffic numbers, paid search advertising consistently resulted in an impressive return on investment. This means significantly boosted and revived sales, especially when weighed against other options, such as Google. Marketing companies that don’t yet utilize Amazon Advertising won’t be able to avoid it for long. With Amazon already being near ubiquitous and only continuing to grow, developing your Amazon Advertising is a move any smart business or marketing agency needs to make. It’s not just smaller businesses looking to partner and work with and through the Amazon system either. From Nike to whatever, you name it, thousands of big name brands now utilize Amazon to effectively market and sell their products. More consumer packaged goods (CPG) companies have started using Amazon to effectively market in a more individual, personal way, which goes against the mass marketing precedent that’s been prevalent over the last several decades. The fact is, the buyer journey has shifted, and while nine out of ten shoppers will still go down to the store for their groceries, that ten percent will be going online, and these brand’s marketing budgets have to reflect that. Amazon Advertising offer something that traditional marketing just can’t anymore, their own near-ubiquitous platform. A far cry from being a daunting competitor to challenge, utilising Amazon marketing as a small business can allow you to challenge the grip of big businesses within your niche or industry. In this sense, Amazon has democratized the online retail process, allowing the smaller business to nibble away at the big brands market shares. There’s a whole bunch of reasons for this. Small businesses being quicker and more willing to pursue smaller opportunities is a big one. Big brands take years of planning and strategizing to move on an opportunity. As a smaller business, that shift can be done much quicker. Another point is that many big brands haven’t focused anywhere near enough of their marketing budget on the listing of their products, which makes for another key weak spot. Amazon Advertising also allows smaller businesses to utilize much more targeted marketing methods to sell one or two different products, which, when compared against the mass marketing efforts of big brands, can prove hugely effective. So you see, far from being the competitor you can’t hope to beat, smaller brands and businesses can actually utilize Amazon and Amazon Advertising in order to challenge big businesses for their market share. At the end of the day, Amazon as an entity is now so utterly vast and multi-tiered that when it comes to marketing, you can’t just throw money at it, and expect to succeed, it’s just not that simple anymore. You need a calculated, strategic approach that plays heavily to your strengths and budget. It’s only through this, employing the right kind of marketers and tactics, that you can expect to fully utilize Amazon’s marketing potential for your brand and business. This is why all businesses need forward-thinking marketers to help them develop their strategy and thinking. When it comes to digital marketing of almost any description, to rest on your laurels and stop pursuing new arenas, technologies and approaches is toxic. You need a marketing company that embraces the new and developing. While Amazon can prove amazing for almost any scale of business, providing they’re willing to learn a few new tricks and properly lean into it, the fact is, no one should ever place all their eggs in the same basket, and that’s a crucial part of digital marketing. 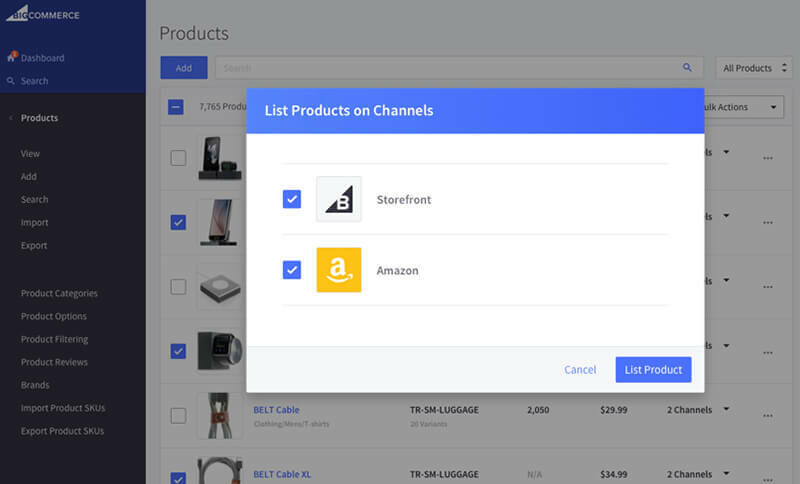 BigCommerce for example has built a solution so you can simultaneously scale your Amazon sales and ecommerce shop from one central hub. Other forward-thinking e-commerce platforms have already started investing in integrations with Amazon and other popular marketplaces. As a business, it makes sense to increase your Amazon marketing focus and budget, but you also need to integrate it into your overall marketing strategy, and make sure that it benefits your whole overall plan. The first place to start when it comes to getting your business utilizing Amazon properly is to hire the right marketing company. Most Amazon marketing approaches break down into similar steps, with the first being, like any other search-driven marketing method, keyword research. Once that’s done, you want to be looking at the correct formats, which fall into three categories; sponsored products, headline search and product display. You want to utilize the right combination of the three depending on the product type. Beyond that, you want to optimize listings and test thoroughly. Then it’s all a case of seeing how you Amazon marketing works within your marketing approach as a whole. That’s a very brief overview, there’s a lot of different ways to make Amazon work for your business, a great marketing company can steer you in the right direction, however.